Happy Hour is now 7 days a week from 4pm to 6pm! 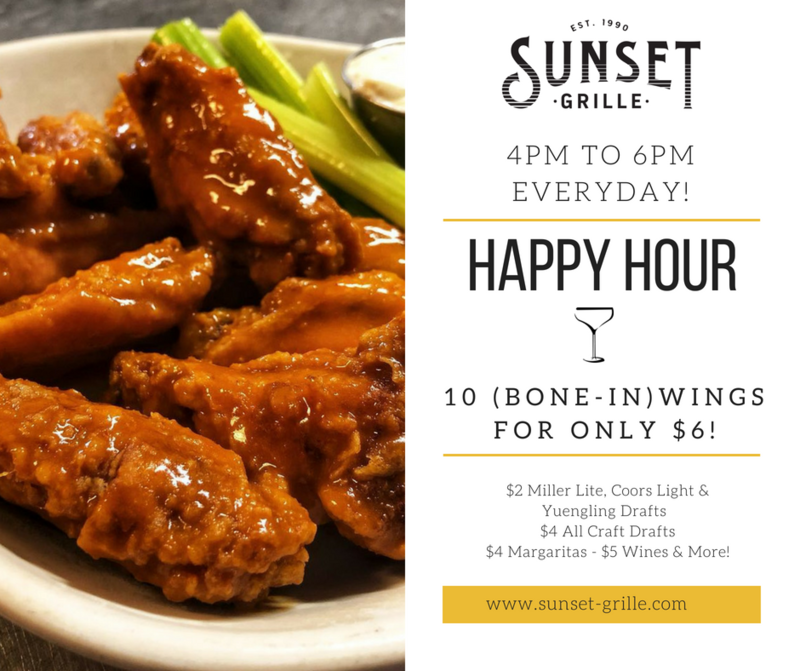 We have some great deals for happy hour which you won't want to miss, enjoy our jumbo juicy delicious TEN wings for only $6! Enjoy many of our appetizers, taco & burritos for 1/2 off our regular menu pricing. Now that is reason to celebrate! Stop in today and enjoy some great deals and bring your friends.